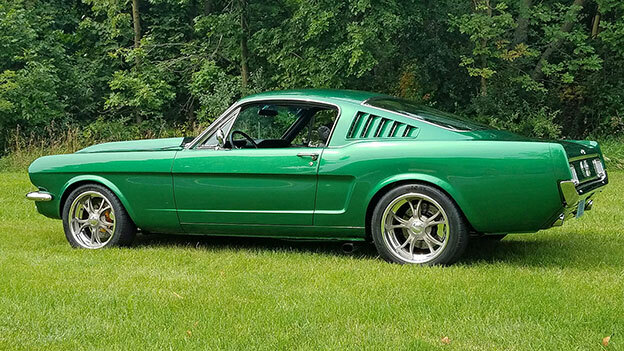 1965 Mustang Fastback with new rims! Pat Yeko did it himself! His '65 Mustang Fastback looks awesome, and evidently many car show judges feel the same way. Winning! 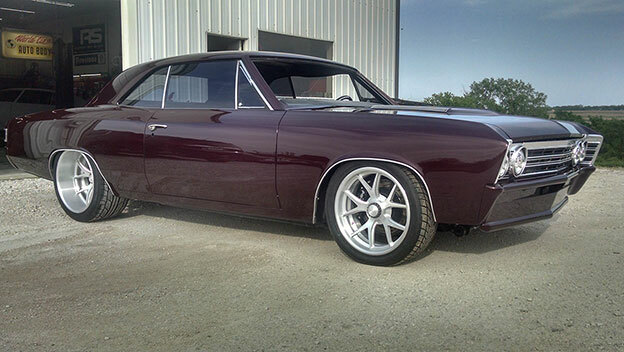 High offset custom wheels for your late model suspension! Have wide track width late model suspension under your car? No problem, the new Throttle and other wheel designs will fit using our convex profile, and preserve more rim lip while doing so! 1957 Chevy convertible with new wheels! 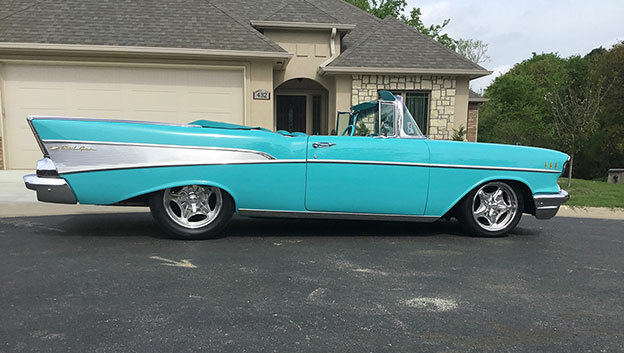 Lane Langley is enjoys the sunshine with his '57 Chevy convertible classic cruiser! 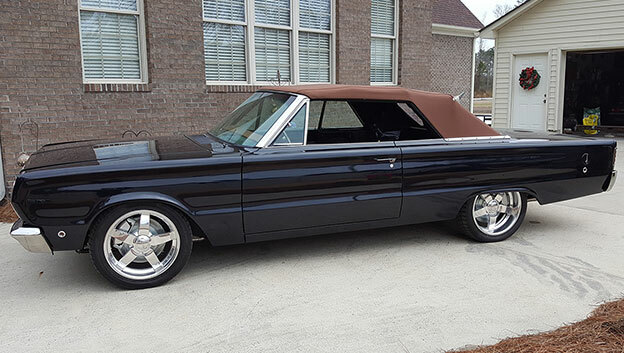 Randy Taylor's convertible Belvedere almost completed, after adding 18" I-Force polished I-Force wheels..
Steve Rhoades made some mods to he and his wife's '67 Chevelle project that required custom wheels. No off the shelf rims would do! 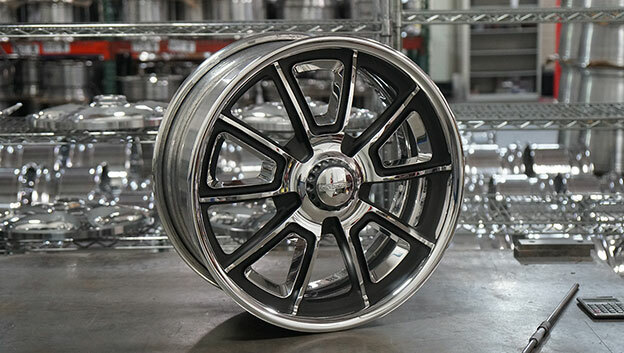 Rolling on 18x7 and 20x12 SL65 concave design with hand brush finish, and tall spline Cover-Loc center nut!